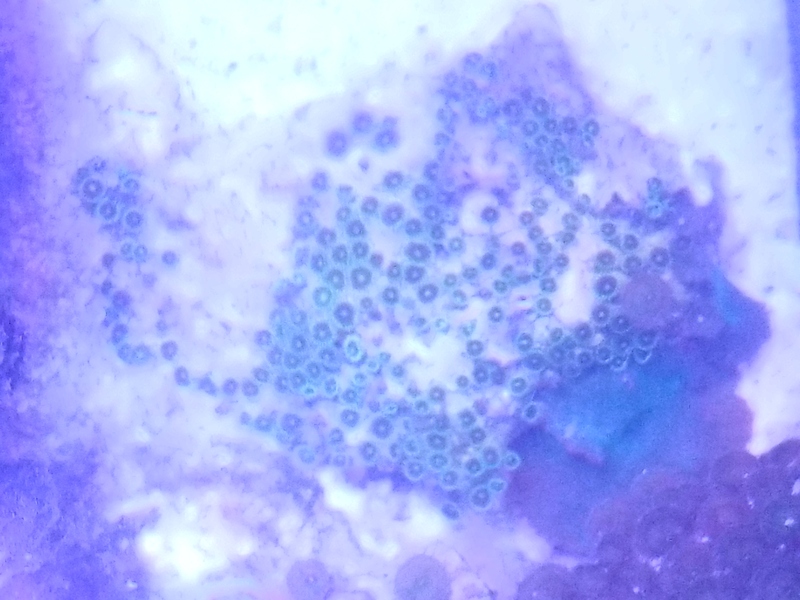 I will clean this up better before delivering. 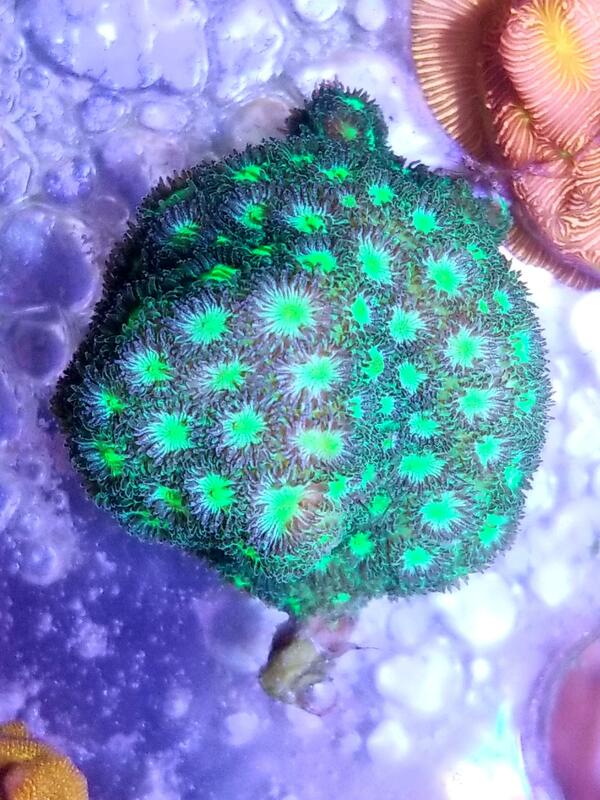 For sale is a bright green leptastrea, this is WYSIWYG. 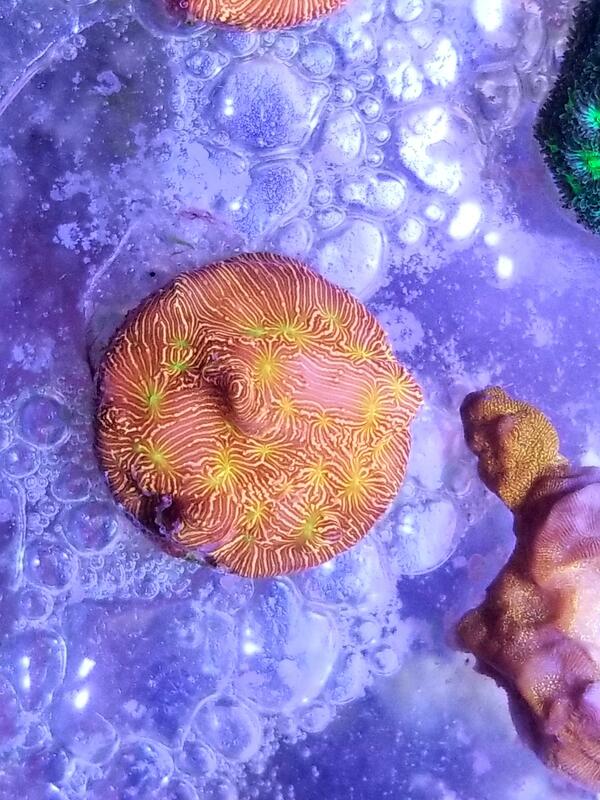 For sale is a Jason Fox Jack O' Lantern Lepto. 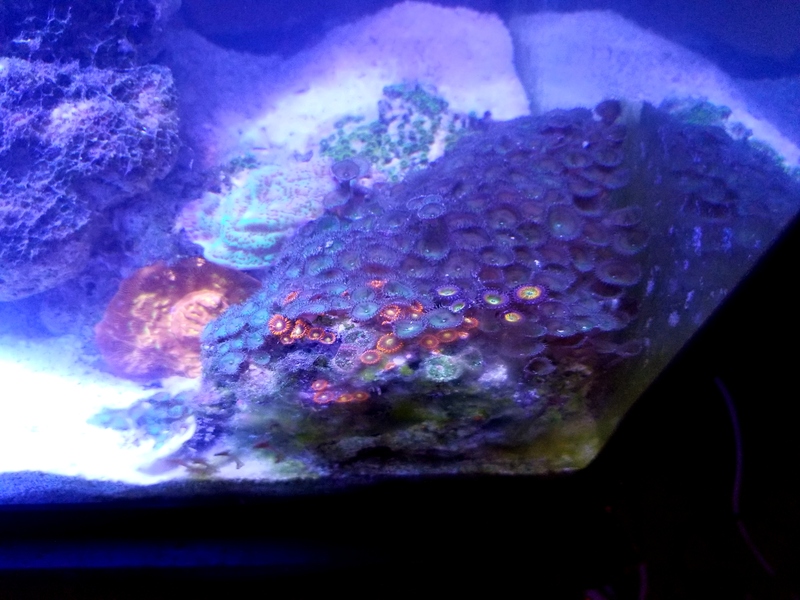 Frags will be similar to what is pictured, already encrusted. 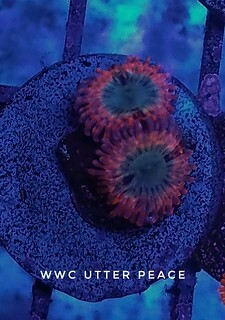 For sale is a very large colonly of Pink and Gold Zoa's, quick growers and very hardy. 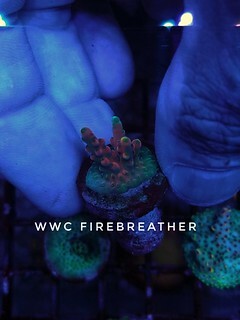 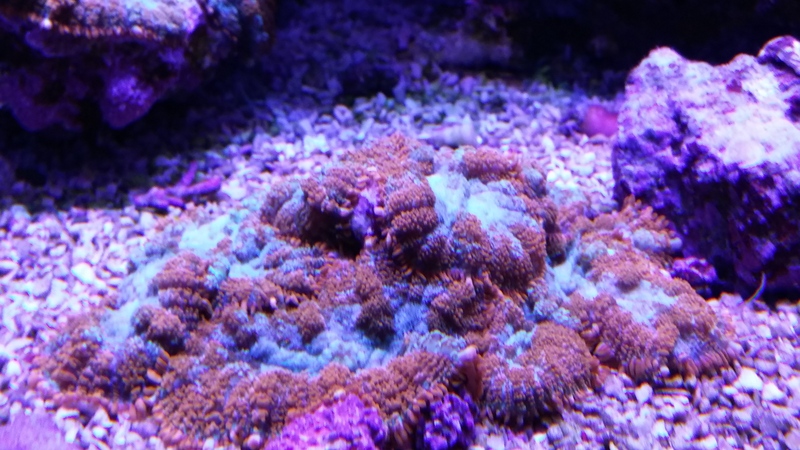 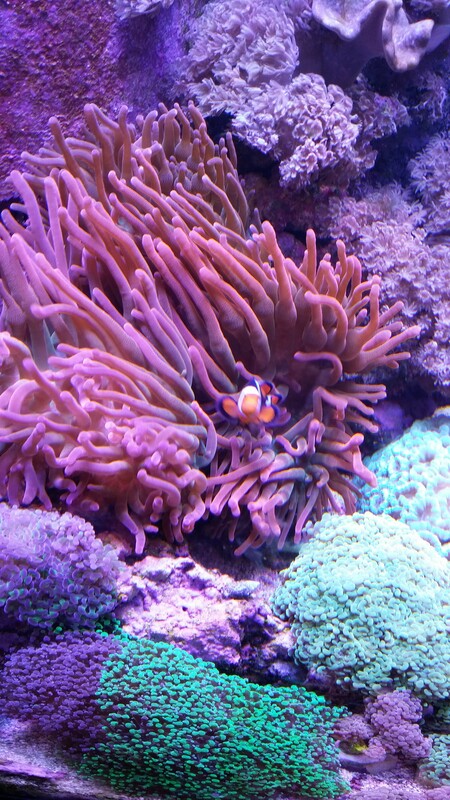 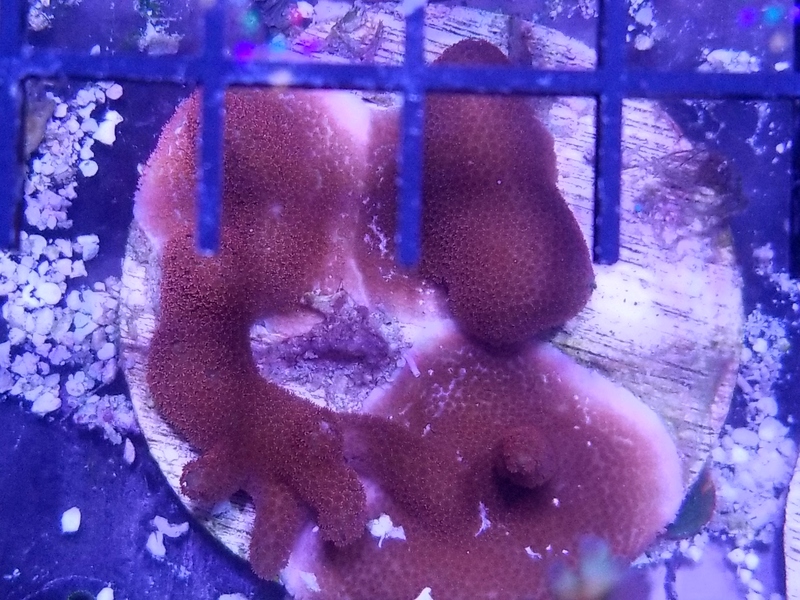 For sale is DSmith's Unknown Acropora. 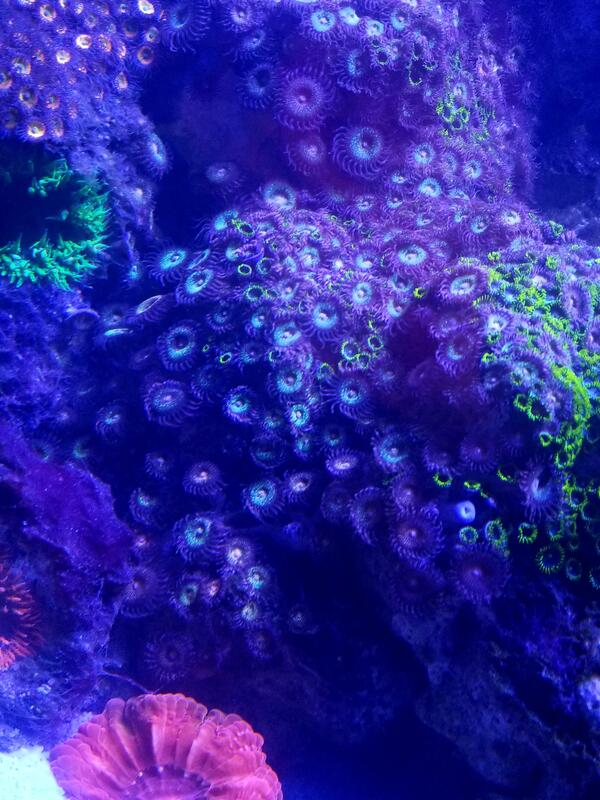 Green branches in higher light, with a little blue and purple. 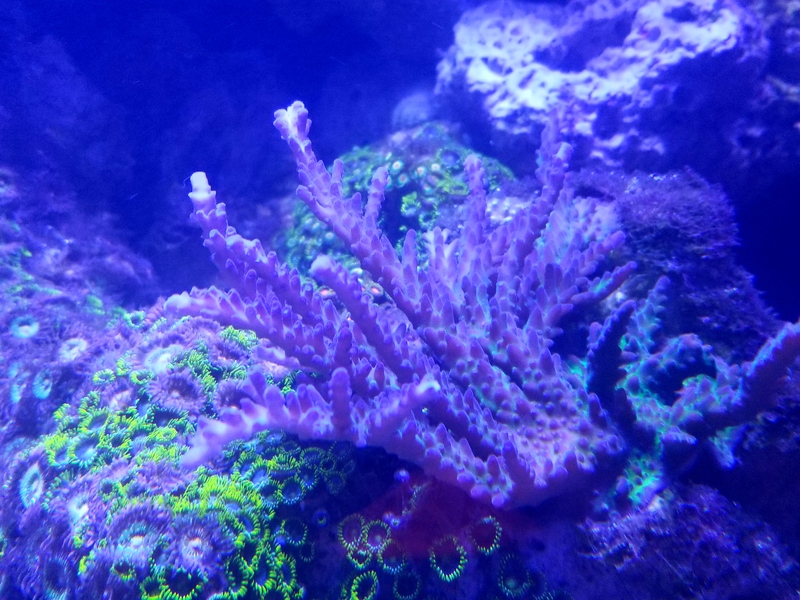 Frags will be cut to order aprox. 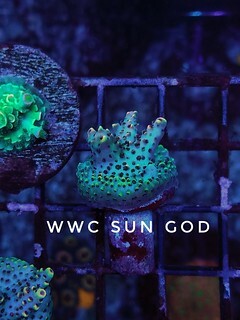 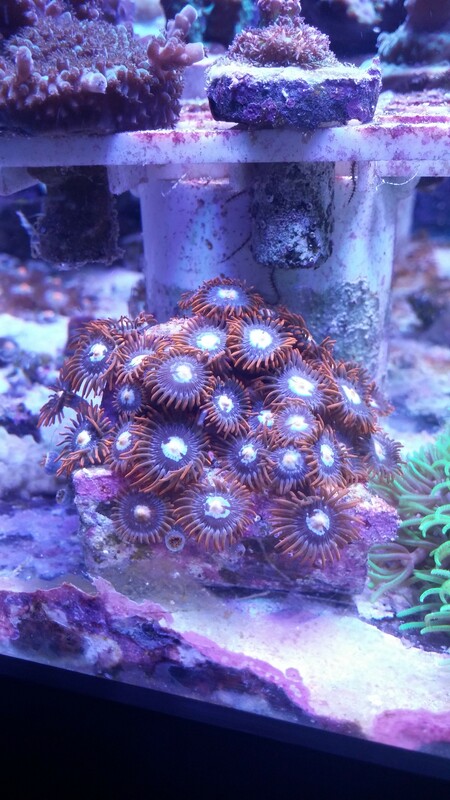 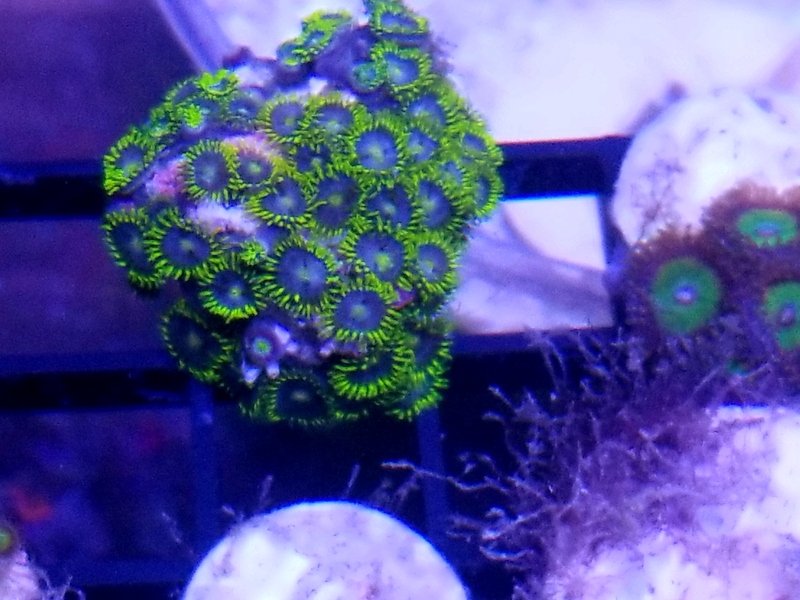 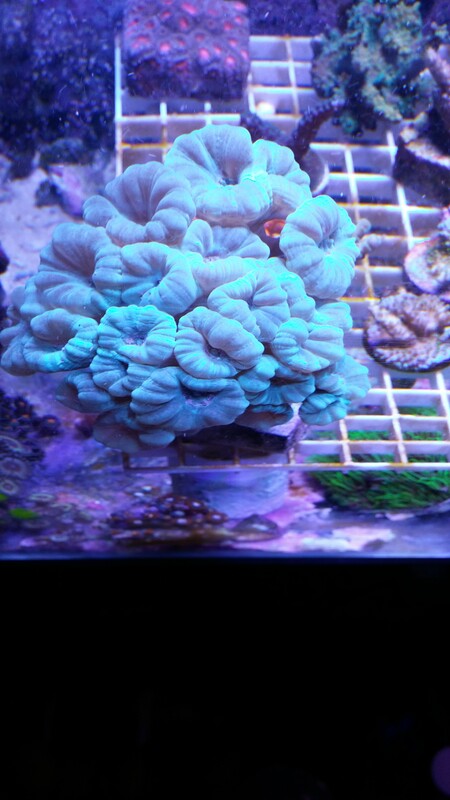 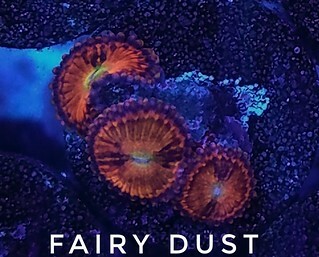 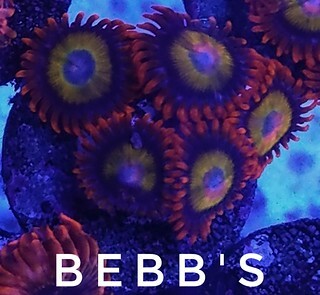 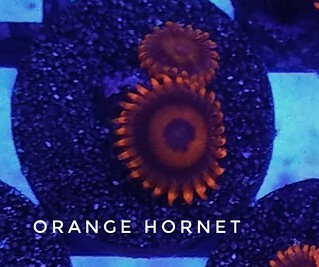 1"-1.5"
For sale is a Zoa colony with green mushrooms. 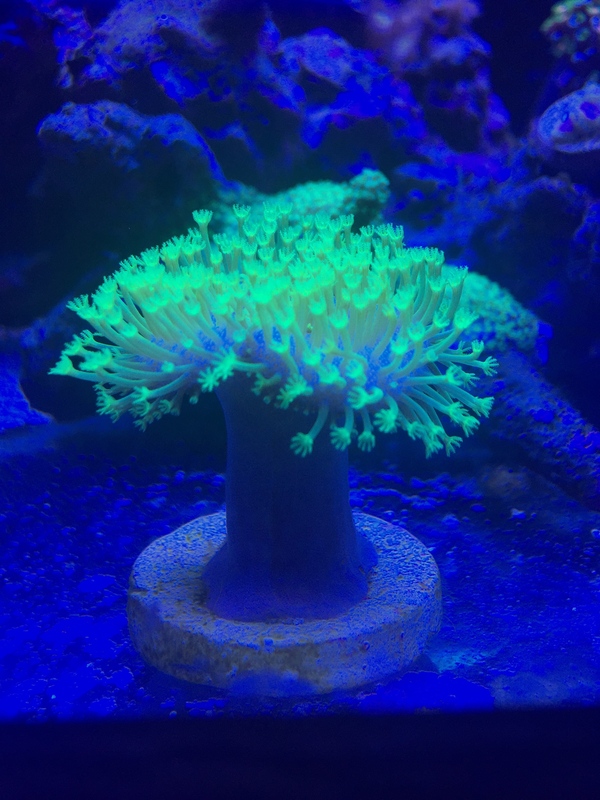 I have 2 really nice neon green toadstools. 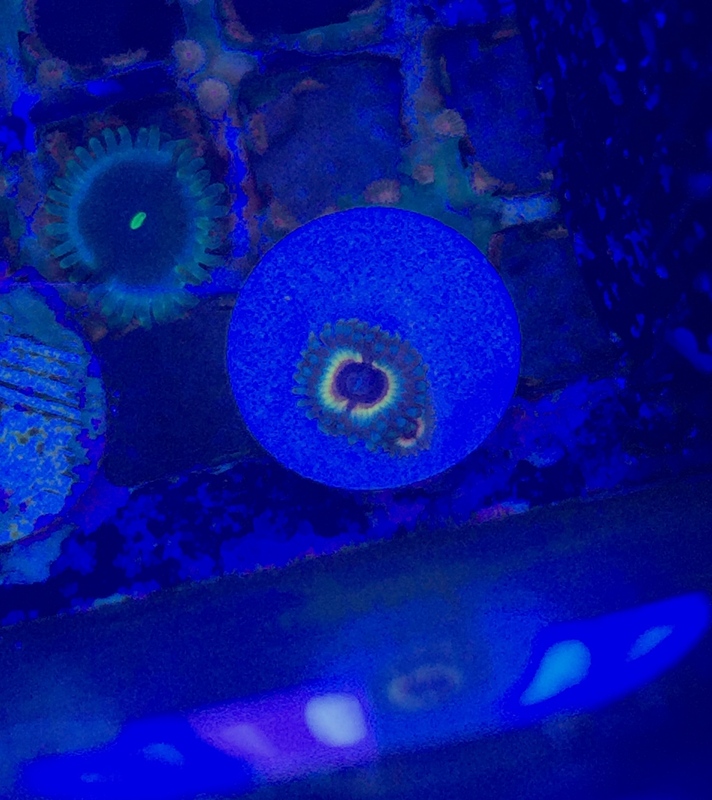 2-3 inches. 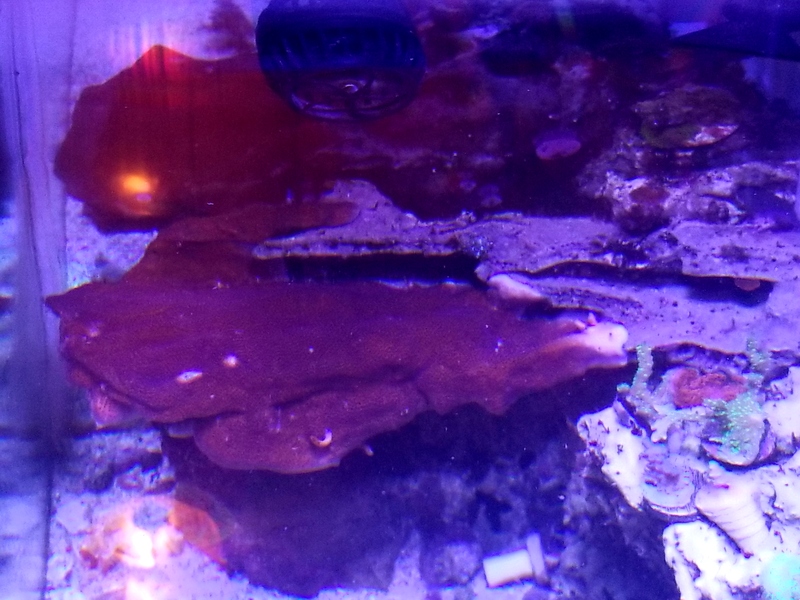 Pic is of one of them.